Lindsay and Andy were very professional. They took us to see many homes and pinpointed exactly what we wanted. They are very knowledgeable about the current real estate market! We found our perfect retirement home at a fantastic price! Lindsay Kothe is the best! She worked hard to make our house selling experience a great one. She sold our house super fast and for the price we wanted. Once the sale was over Lindsay kept in touch. She even contacted us and helped us connect with a package that was delivered to our old house. The Kothe Team will be my go to team for all my real estate needs. The Kothe Team was excellent to work with. Most of all they were patient with us during the process seeing multiple properties and answering our ridiculous questions. Once we placed the offer the Kothe Team was very active, providing updates on the progress and communicating with sellers representative. They work with an excellent lender who provided exceptional service. Who shows up at your closing, the Kothe Team does! I would definitely recommend the Kothe's to represent you in your home buying process. Lindsay and Andy helped make our home searching process less stressful. They made time to show us houses even if it was on our schedule. They knew what type of home we were searching for and helped us find the perfect home for us to grow in. Such genuine and sweet people. Thank you so much!! We had been considering selling for several years and Lindsay kept in touch, letting us know current market conditions and how our equity was building in our home. Once we were ready, she was there every step of the way, always quick to answer our questions through text, email or a phone call. We received an offer the first day our home was on the market! Lindsay went above and beyond on the buying side; helping us to decipher contracts while being a direct liaison with our builder / contractor. Andy's knowledge in construction is also a bonus! We will always be sure to recommend The Kothe Team to our family, friends, and co-workers! We had the complete attention of the Kothe Team. We've never enjoyed an experience anything like this before. Our calls, texts, and emails were readily answered with any questions we had. Our open house to sell our home was very busy with potential buyers, and it sold in just 7 days! Going out searching for our new home with the Kothe Team was also most enjoyable. This team is super hard working and super friendly. An A+ in our book, we won't go anywhere else for a realtor! Lindsey and Andy Kothe are our saving grace. 110%professional. Beyond kind and built a lasting relationship with our family. Our home listed and sold in no time, all in thanks to the advice and knowledge that we received from them. The care of our home and future home was very important to them and they let it show. The best realtors anyone in the world could ask for. Thank you too so so very much for being you and being so great at what you do! The Kothe Team is awesome! They went above and beyond in SO many ways. We had a bad experience with a previous agent and The Kothe team came in and got the job done! If you want to sell your home, And for what it's worth, not just give it away, This is your realtor! They really made a difference, Thanks Kothe Team! We interviewed multiple real estate agents for the sale of my home at 2101 N 123rd Drive. They just did not feel like the right fit. Then I spoke to Lindsay Kothe. Her calming demeanor and personality was felt through the first phone call. We met to discuss the recent sales and how that determined a fair sales price for my home. It was listed a few weeks later. To my surprise, she brought me a full price offer in 2 weeks. They say a good indicator of a satisfied customer is, "Would you call her again to help buy/sell a home?" She will be listing my rental home in Goodyear too. 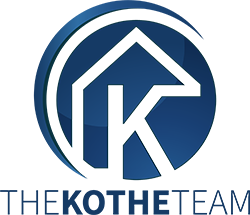 If you've had any thoughts of selling your home, The Kothe Team should be your first call. Lindsay narrowed down our wants and priorities. This focused our housing search on those houses and neighborhoods we were interested in. Both Lindsay and Andy were very professional in dealing with other realtors and homeowners. They also provided information on mortgage banks and utilities in the area. I highly recommend this team! We interviewed several Agencies before we chose the Kothe Team, they listened to us and gave us good feedback. The Kothe Team puts in the hard work for their clients. We could not be happier with their results. The Kothe Team asked precise questions about what my husband and I wanted about housing and location. Then they helped us review the choices that fit our criteria. Upon finding our house, the Kothe Team dealt with the owner's realtor throughout the acceptance, loan process and closing. I was stressed about finding a home in a short period of time. It was by chance and luck that I came across Lindsay Kothe on a real estate website. I made that call and gave her an idea of what I was looking for and within a matter of an hour or two she provided me with a good size list of beautiful homes within my price range. She was extremely flexible with my schedule and I was shown multiple houses within the next day or two. Very considerate. She never made me feel pressured in any way. She was very knowledgeable and seemed very genuine. It was an absolute pleasure working with her. I write this in the wonderful presence of my new home that she helped me find in a matter of days! I'd refer her to anyone looking for a real estate agent. lindsey is absolutely amazing! she always keeps you in the loop and always has your back. She is an incredible person as well as an awesome realtor. I highly recommend using the kothe team! Great service by Lindsay Kothe! I'd hire her again. As an out of state seller, Lindsay went above and beyond to connect me with needed resources. Her knowledge of the local market, and her expertise, allowed us to get 5 full price offers in the first 3 days! Could not have been a better experience. The Kothe Team was very professional and their results were outstanding. My wife and I were very confident in their abilities which we felt was more than half the battle. I will recommend them to everyone I hear is looking to buy or sell a home. We highly recommend The Kothe team. Lindsay, was always willing and ready to help when we wanted to view new listings. She definetly knows her areas. Lindsay and her Team. Team Kothe are a amazing group. We would use them again if needed in the future. The Kothe Team was very informative of what was going on throughout the whole process of listing and selling my home. Lindsay was continually communicating and very thoughtful of the needs and request I had. I would definitely use them again in buying a home or referring them to others for selling their home. I used the Kothe Team to purchase two homes - one for my daughter and one for my Grandson. All went well. Kothe handled the listing and the sale of this last home to me. I would recommend the Team to anyone. The Kothe team was amazing from start to finish. Lindsay and Andy both were flexible, able to show homes at our convenience. This included visiting properties in the evening and weekends. Our work schedule is so busy it was difficult for us to be available during normal business hours. We were able to see many homes in an organized timely fashion. We appreciated the extra effort in assisting with document signing and when an offer was not accepted the continuous effort to help us find a home that met all our needs. The Kothe team’s personal touch to our home buying experience made a world of difference. Their knowledge with repairs, acceptable offers, landscaping, construction and contractor information was a huge asset. I personally have known the Kothe Team for 13 years. I believe the extra attention to their clients wants and needs are what makes the difference. Also their willingness to get the Best Price. Sharing important financial options turned out to save us $12,000 in closing cost! WOW!! That is Huge!!! This year I’ve had a dream come true. My husband and I had the opportunity to build our dream home. We had never been to Arizona and we were looking for a place to retire. We did have some friends down here in Goodyear. My first concern was who, where would I find a REALTOR. Not just any REALTOR. There were thousands on websites and I even spoke to a few. I was really excited about the market and Interest rates but dealing with a stranger was a very serious concern for us. Specifically dealing with our money!! I have high standards and that’s why I felt strongly about a REALTOR. Honesty, Trustworthy, Professional, Knowledgeable. Our prayers were answered! Our friends told us they had a real nice REALTOR who helped them purchase their home. They had nothing but good things to say about Andy and Lindsay. I didn’t even know Lindsay. We landed in Arizona at 9 am. Lindsay picked us up at 1 pm from our friends place. I had narrowed it down to 5 New Builders and 2 resale homes. Well, I liked 2 builders. I called Lindsay back the next day to check out the models again for the next day. She’s very accommodating she said sure, no problem. She would be over to pick me up at 9 am. Together we decided on our choice. The process was stressless; since we lived in northern California Andy picked us up at the airport and drove to the home inspections a few times. They would also go to the property; check things out and send photos of the progress. We could not ask for better REALTORS. Lindsay narrowed down our wants and priorities. This focused our housing search on those houses and neighborhoods we were interested in. Both Lindsay and Andy were very professional in dealing with other realtor's and homeowners. They also provided information on mortgage banks and utilities in the area. I highly recommend this team! I was a very fussy buyer , they where not discouraged and kept at it until we found the one I wanted. They where just great , listen to my wants and needs. New the area which helps alot. It was a pleasure working with the Kothe team. I was able to close on my house in only 3 weeks, which would not have happened without them. Lindsay was able to keep all parties on track in order to meet this short time frame. I would highly recommend them to any of my family members or friends that are in need of a real estate company. Having sold six houses in California & one here in AZ. I must say that I'm glad we chose Andy & Lindsay < The Kothe Team> . Andy & Lindsay were there for us every step of the way. Having sold homes in my past I can't begin to tell you how many times I've called Realtors after listing homes with them and called them on the phone and never got calls back. Not The Kothe Team, every time I have called Andy or Lindsay they were right there for us or called back within minutes. It is very frustrating to list a home with a Realtor & never get calls back or they call you the next day. I would recommend the Kothe Team to all my friends, They were very professional and gave us a very personalized service, They were very responsive to all our questions and concerns. They told us that our house would sell one-two weeks at the most and it did. The Kothe Team...Excellent service, Fast, Very Professional. People you can count on for the very best service. We were extremely happy with our recent home sale experience, thanks to the Kothe's. They were friendly and always willing to answer questions during the transaction. Andy kept us updated regularly with regards to the status of the sale and gave honest and candid feedback. I've already recommended them to a family member who's considering a move and would absolutely call them for future real estate transactions. Made it easy for us. My wife and I enjoyed working with Lindsey very much, it was more like working with and old friend. She listened and always seem to care, there was never any pressure to make a decision. I would gladly recommend her first. Lindsay worked very hard for us when we were selling our home. She was very responsive when we had questions or concerns during the whole process. We will be using her for all of our future real-estate needs! I would like to extend a HUGE thank you for the tireless hours you dedicated to helping me and my family locate a rental property during the holiday season. It is a breathe of fresh air to see someone so willing to go above and beyond for their client. We were not sure what part of metro phoenix we wanted to settle in, so it was very nice to see the patience Andy provided to me and my family until finally the perfect home was found in Surprise. I would highly recommend Andy and his team to help you with all your real estate needs. Thank you for the unlimited time you provided during our home search and ultimately a purchase of the perfect home in Surprise. We were out of town during much of this process, but Andy and his team made this a seamless transaction in spite of the distance. It is refreshing to see a real estate agent that gives so much for their clients. I would refer Andy to anyone I know that might be in need real estate assistance. We met Lindsay at an open house that she was having. She was extremely friendly and so easy to talk to. She became our realtor and worked hard to find us a new home in this very competitive market. She stayed on top of things and kept us informed along the way. We were happy to get to know her and without a doubt, we would recommend her. If we ever are in need of a realtor we know who to call. In May of 2012 I found myself unemployed for the first time in my adult life and was also notified that the renters of our other property were moving out. We decided to sell our primary residence of eight years and relocate to our less expensive rental. We received a referral for Andy Kothe to assist us with selling our home. Andy was very familiar with the market and was a Superintendent for the neighboring builder before transitioning into real estate. He provided us with an extensive list of comparables and was dedicated to getting us the highest sales price possible. We had received an offer within the first week of the listing but he advised us to not take the first lowball offer just for the sake of getting out from underneath our home. He was very understanding and was crucial in negotiating reasonable concessions for the buyer while keeping our best interests at heart. Andy also has a large network of service providers in the construction industry. He referred us to reasonable and competent flooring, landscaping, and electrical subcontractors that assisted us in our remodeling. We are very pleased with the knowledge, tenacity, and excellent customer service that we experienced throughout this stressful ordeal. I would highly recommend Andy Kothe as your realtor whether you are buying or selling. Lindsay helped us find a home in crunch time. We waited too long to start looking in the Phoenix market and before you knew it our lease was coming due. Lindsay was very creative in her quest to help us find a home. We found exactly what we wanted in our price point and only had to stay with family for a few weeks. She was helpful, quick to respond and knowledgeable about the market we are in. I would recommend her to all my friends. Thank you for your services on finding my first home. You were able to find the type of house I was looking for based on price, size, and location. I was glad that you went on out of the way on finding the home I would be pleased that has a long term positive outlook. I would sure use you as a recommendation for friends and family members for future home buying or selling means. Lindsay is a fantastic professional realtor who truly works hard to ensure your best interests. I needed to find an inexpensive home for my mother in a competitive market where almost every home listed was bought by a cash investor within days. After numerous failed offers, when most realtors would have simply advised to bid higher, Lindsay continued working diligently, showing us homes and writing fair offers until we closed on the perfect home at the right price. She is a pleasure to work with and I highly recommend her services to anyone looking to purchase a home. I would gladly refer Friends and Family to them. Moving from Colorado to Arizona, the Kothe Team made it a very smooth process. Our agent Lindsey Kothe was excellent. 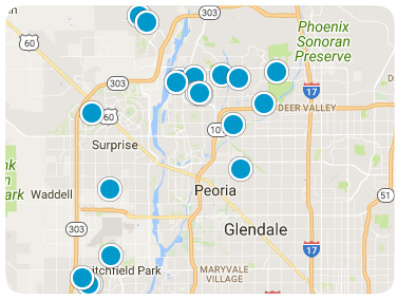 We spent almost three days narrowing down preferences and neighborhoods in the West Valley. Lindsey always did her homework with listings and print outs of information. We were able to find the perfect home thanks to her persistence and hard work. My husband and I highly recommend this team. They were knowledgeable, consistent and very personable to our needs. I would gladly refer family and friends to them. They are amazing and have gone above and beyond for me and my family. I was lost in the whole process and I am so thankful they helped me thru the whole way, I have referred them to my friends who are looking to buy-sell as well! We would recommend the Kothe Team to everyone!! My husband and I knew we wanted to find a home in Rancho Santa Fe or Palm Valley. We were getting discouraged until we found the Kothe Team. Lindsay was able to help us find our dream home! Near the end of the process at closing, when we were stressed out because our credit union in California wouldn't do an out of state transfer of funds, Lindsay was with us at the local credit union in Avondale making it happen. She stayed with us and literally drove us to the escrow office for signing. We would recommend the Kothe Team to everyone! !